Before we get started talking about HARP Refi Leads, let’s begin by answering the basic question of "What is a HARP Re-fi?" The HARP Re-fi or better known as Home Affordable Refinance Program has been created to help homeowners who are current on their house payments and who want to refinance their existing mortgage to a lower mortgage interest rate. Under normal economic conditions, refinancing is a pretty regular task, but not when the loan is underwater. When the home's value has fallen below the mortgage balance, and the situation to re-fi seems futile, enter the HARP. HARP allows homeowners to refinance their mortgages even when their home mortgage is underwater. HARP allows refis of loans up to 125 percent of the home's current assessed value. This means a borrower could refinance a $125,000 loan on a house whose value has dropped to $100,000. HARP was introduced in early 2009, and recently, HARP's expiration date was extended until June of 2012. Brokers Data can pull HARP Refi Leads, using the credit bureaus pre-screened data also known as a "soft inquiry". 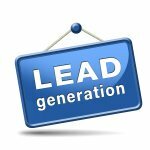 We can provide HARP sales leads for both Servicers, Lenders and Brokers. If you are the servicer and/or lender, we can output the name, address, last 4 of the homeowner’s social security number and lender. 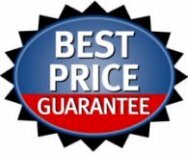 Using your company’s internal information about the borrower that can be accessed with the borrowers name and last 4 of the SSN, you can easily mine for good qualified prospects for HARP. Give us a call and we will be able to run a count for you nationwide or in a specific geographical area. If you are a mortgage broker, the road traveled to get to the qualified prospect will be a bit different since you do not have the luxury of being able to pull the prospect's information from your internal database. As an alternative, we can pull the leads using all of the filters needed to pre-qualify and to target your ideal HARP prospect. We can include DNC scrubbed phones for you to call the list or better yet, launch a direct mail campaign to this list. Once the borrower’s eligibility is verified for any respondents, you can re-finance through the servicer. We can offer free use of our HARP direct mail templates for each paid in-house order. Owner-occupants of a one-to four-unit home. The loan on the property is owned or guaranteed by Fannie Mae or Freddie Mac. Borrower is current on the mortgage payments ("Current" generally means that they have not been more than 30 days late on the mortgage payment in the last 12 months; or, if the loan is less than 12 months old, borrower has never missed a payment). The amount owed on the first lien mortgage does not exceed 125% of the current market value of the property. Borrower has a reasonable ability to pay the new mortgage payments. Refinance improves the long term affordability or stability of the loan. 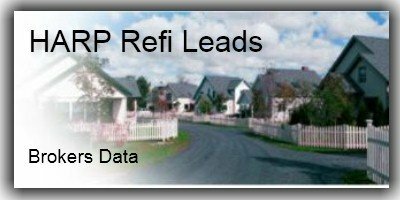 Call us today and we will be happy to consult with you on how to best optimize your HARP Refi Leads. The government announced changes to the Federal HARP Re-fi program this week making it easier for struggling homeowners to refinance to today's near-record low mortgage rates. Under the new revisions, homeowners who owe more on their homes than they are currently worth, will be able to refinance no matter how much they are underwater, as long as they are current on their payments. The 125% maximum no longer will be in force. The changes should allow banks to refinance loans without worrying that Fannie Mae and Freddie Mac will force them to repurchase the loans if the borrower defaults. That should help remove one of the biggest barriers to refinancing through HARP, said Gene Sperling, director of the National Economic Council. By doing away with that liability, more lenders will compete to refinance the loans, making them more affordable for borrowers. The Loan to Value will no longer be capped at 125% enabling homeowners in the hardest hit areas to take advantage of this program. Borrowers must have existing loans backed by Fannie Mae and Freddie Mac originated before May 31, 2009. Mortgage holders still must be current on their payments for the past six months with no more than one missed payment in the past 12 months. Fannie and Freddie will also reduce the fees they have charged in the past in order to enable borrowers to better afford the new loans.